Hand dryers have become an innovative piece of technology in all washrooms, with the ability to dry your hands quickly and efficiently. For over 100 years, many investors have made it their mission to kill the paper towel by replacing the process with blowing air – and what a game changer that has been! The forward march for progress when it comes to our environmental impact and sustainability is quite a long one, and removing paper towels with efficient machines is definitely a step in the right direction. The ever growing development of technology is visible everywhere, and when it comes to hand dryers, it does raise the question about their history and how they have now revolutionised the industry with intelligent and modern designs. High speed hand dryers, eco-friendly and quiet hand dryers are just a few which have become exceedingly popular in the last few years. Are you ready to be blown away with hand dryer history? Let’s take a stroll back to 1921 – the year the earliest hand dryer was invented. Thanks to R.B Hibbard, D.J Watrous and J.G Bassett for the Airdry Corporation of New York, the machine was sold as a built-in model or floor unit. It featured an inverted blower that was powered by a controlled floor pedal and it was known as “Airdry The Electric Towel”- quite impressive as a first invention. Could you imagine using this design now compared to a high speed Ninja Jet Blade hand dryer? We do think it would be quite fun, though. Fast forward a few years to 1948, George Clemens decided to take hand dryers under his wing and made them relatively popular. He adapted and improved the original Electric Towel hand dryer design across America but it wasn’t until the 1990s where hand drying technology really took off. Japanese technology took the world by storm with the invention of the first ‘hands in’ dryer. Mitsubishi designed the hand dryer that blows the water off your hands, rather than evaporating it with heat. The creation was a clever one, however with it being the first ever hands in dryer, it required a bit of magic and technology to reduce the noise impact and quicken hand drying time. The Jet Towel hand dryer was a hit in Japan, but it didn’t make it’s way into the American and European markets until the early 2000s which is when the competitive battle for hand drying technology truly began. 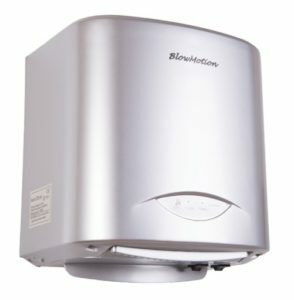 In 2002, Excel Dryer released a hand dryer known as the ‘Xlerator’, a powerful dryer that certainly made it’s impact in the industry. It effectively dries hands in up to 10 to 15 seconds, bringing about a lot of noise in the process. Unlike the Electric Towel or Jet Towel, the Xlerator showcased high speed and reliability, and at this point, users didn’t mind the loud levels of noise occurring. If Mitsubishi and Xlerator were not enough, Dyson just had to come to the party with their very own Airblade hand dryer in 2006. Of course, the brand quickly gained a following in bathrooms across the world so it comes as no surprise when we learn about their popularity. It’s evident hand dryer history is still being made today, and for years to come in fact. With sophisticated, creative and modern designs that fit in with today’s world of technology, the only way is forward. 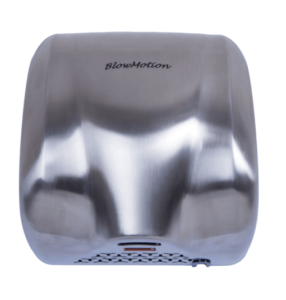 And not to toot our own horns or anything, but Blow Motion are the UK’s #1 hand dryer supplier constantly meeting the demands for quieter, quicker and stylish hand dryers to suit all types of washrooms. 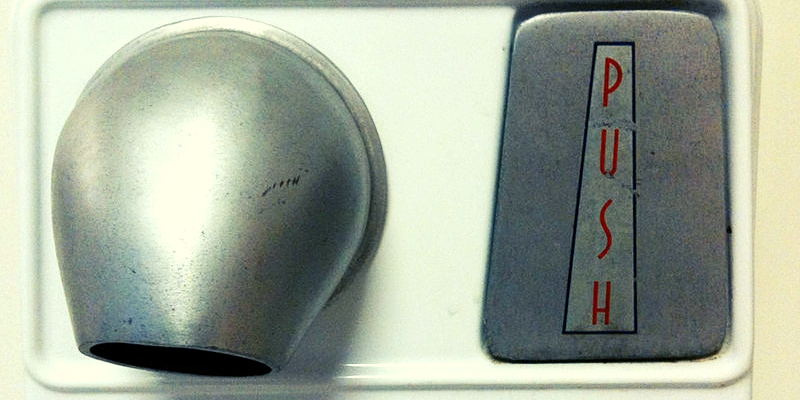 High speed – dries your hands in an estimated 10 seconds. 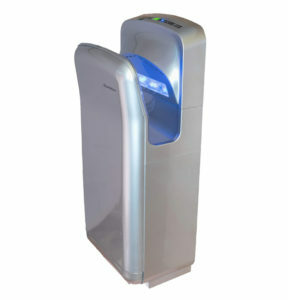 This type of hand dryer can be found mostly in busy working environments where efficiency is key. High speed hand dryers can meet the requirements of demanding washrooms, so it’s definitely one to rely on. Quiet – reduces the noise impact. Unless you want to experience the very loud noise levels of hand dryers back in the 90’s, quiet hand dryers are a little more gentle on your ears. They also have the ability to dry your hands in up to 10 seconds. They may be quiet, but their performance speaks volumes. Eco-friendly – reduces your carbon footprint. It’s important now more than ever to do what we can to protect the environment and save the planet. Eco-friendly hand dryers reduce electricity usage as they use as little as just 2 pence in electricity for 100 uses! If you’d like to learn more about a range of hand dryers available, please don’t hesitate to contact us. 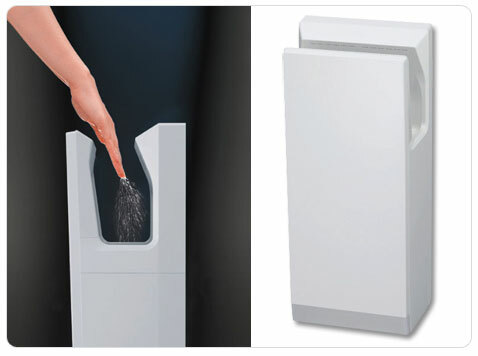 Our range of high performing hand dryers are able to meet any requirements, whatever they may be! In the meantime, browse through our selection and check out some handy videos!